Thirsty Pilgrim: Beer Hunting in Paris: Not for the Faint of Heart. Beer Hunting in Paris: Not for the Faint of Heart. It's a well-kept secret that France makes some damn fine beers. Wine gets all the attention. 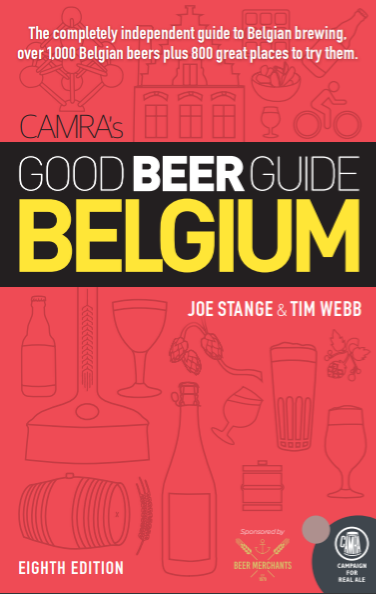 But particularly in the North near the Belgian border, farmhouse traditions and gastronomic culture collide to make several tasty amber liquids. A short primer: Many of the best French beers are known as biére de garde. That means beer for keeping, and it's a close relative of the Belgian saison ales. Back in the day, farmers (read: land owners) in this region used to make loads and loads of this stuff to fuel their workers (read: peasants) in the warmer months. Problem was, it was tough to brew in the warmer months because of infection and other issues. So they brewed in the winter. The beer was built to last. My point is, France has a solid beer-making tradition. And wouldn't you think it would easy to find good examples of this tradition in Paris, the very capital of France? Well, don't think that. You'd be wrong. Not only is good biére de garde tough to find in Paris, but you'll pay a high price if you come across it. This is a city where, in the center, even a watery Kronenbourg will run you €7 in a typical café. Expect to pay a couple euros more for decent craft beer. A smarter man would just drink wine in Paris. It's cheaper you know, and it'll be good. But I am not a smarter man. I am a beer man. So it came to pass that we paid dearly to try a few interesting French beers in Paris. One of them, pictured here, is Gwiniz Du from the Brasserie de Bretagne. That region is known for its buckwheat crêpes, and this dark and bready number is made from the same grain. There were no crêpes within reach at that moment, but I reckon it would have made a tasty pairing. 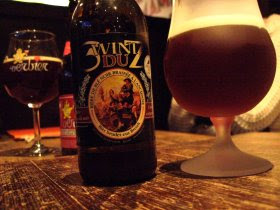 This was at the cozy Sous Bock, a rugby-themed pub near the Louvre boasting more than 150 beers. By my count, this pub had more than twice as many Belgian beers (85) as French ones (36). That was a common theme; in fact, a couple of the specialist cafés we tried had virtually no French craft beer. Just lots of Belgians. More irony: The three best French beers I think I've ever tasted--two from Thiriez and the excellent Bavaisienne from Theillier--were at the Delirium Café in Brussels. So it goes in the strange world of craft beer exports. OK, One More Thing About Lisbon, You Drunks.